Under Florida’s insurance scheme, individuals who are injured in a car wreck can assign their insurance benefits to a medical provider. 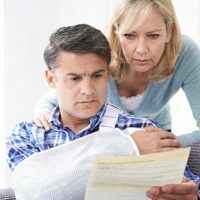 These benefits would typically total up to $10,000 and were designed to pay for an injury victim’s medical expenses following a car crash. However, reforms enacted in 2012 changed this scheme slightly by requiring an injured person to be diagnosed with an “emergency medical condition” by one of a few designated medical professionals. These reforms were recently challenged in the case Progressive American Insurance Company v. Eduardo J. Garrido. 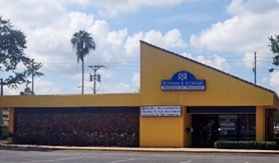 In the Garrido case, an individual was injured and sought out Garrido – a chiropractor – for treatment. The injury victim signed an agreement whereby the victim’s PIP benefits under his insurance policy with Progressive were assigned to Garrido. Garrido provided over $6,000 worth of treatment to the victim, but Progressive only paid $2,500 after determining that no qualified medical professional had determined that the victim suffered from an emergency medical condition. When the case proceeded to trial, the trial court ruled in favor of Garrido by finding that the reform statute relied upon by Progressive was unconstitutional. The Third District Court of Appeal reversed the trial court and found the 2012 reform statute to be constitutional regardless of whether the trial court judge believed the reform laws to be wise. Because being a chiropractor is not a “protected class” as that term is used in constitutional law disputes, the reform statute is to be found constitutional so long as there is a rational basis supporting the law. The Court of Appeals found such a basis existed and the reform law was therefore constitutional. As a result, Progressive could properly deny paying Garrido more than $2,500 in PIP benefits because the victim had not been properly diagnosed with an emergency medical condition that would have enabled Garrido to recover up to $10,000. While Garrido will not likely directly affect any Florida driver, it may impact who a car crash injury victim might be able to receive treatment from in the aftermath of the crash. Chiropractors and others may decline to provide a great deal of treatment without a diagnosis of an emergency medical condition by an appropriate healthcare professional. 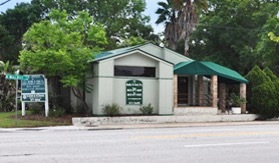 In addition, this case may spur chiropractors and others to lobby for additional changes to Florida’s PIP law, such as removing the $2,500 limit or the requirement that a victim be found to have an emergency medical condition. 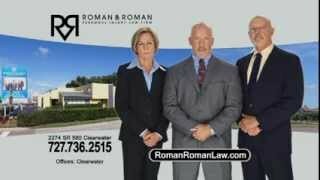 In the aftermath of a Florida car crash, you need to take steps to protect your health and your legal rights. 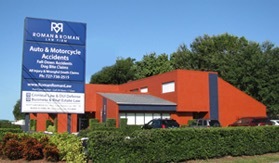 Speak with the experienced Florida car crash attorneys at Roman & Roman right away. Call the firm at (877) 767-1032, or contact the firm online to learn what rights you may have and what steps to ensure you have the most successful recovery possible.